Seven men were arrested for their alleged involvement in a dacoity committed at a Delhi Metro construction site. 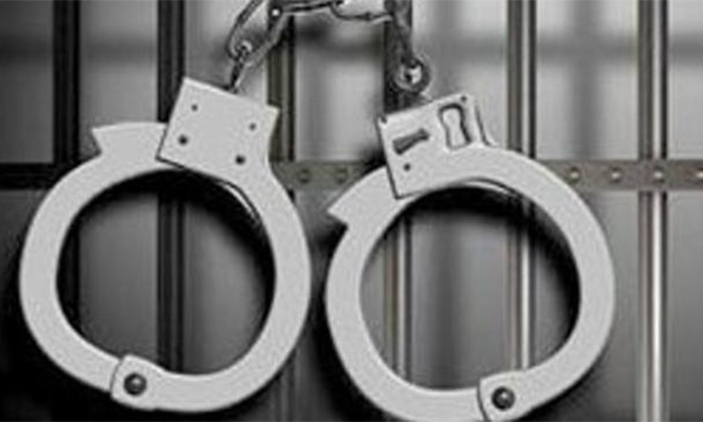 New Delhi: Seven men were arrested for their alleged involvement in a dacoity committed at a Delhi Metro construction site, police said today. The accused were identified as Ishtiyad Ahmed, (35), Imran, (26), Farhan, (22) Kamal Kumar Koli, (22), Vicky, (25), Murarilal, (22) and Nirdosh, (22), Pankaj Kumar Singh, Deputy Commissioner of Police (east) said. A copper connecting wire, one auto rickshaw, one double barrel gun, a mobile phone and a tempo was recovered from their possession, they added. The dacoits attacked a security guard present at the under-construction site near Akshardham Temple on July 16 and decamped with the valuables there, including copper wires. Some fellow guards reached the spot and attempted to stop the robbers. In a hurry to escape, the truck got stuck in the mud and its driver Ishtiyaq was arrested while his partner- Imran - managed to flee, the DCP said.